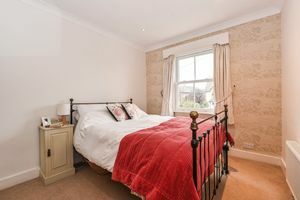 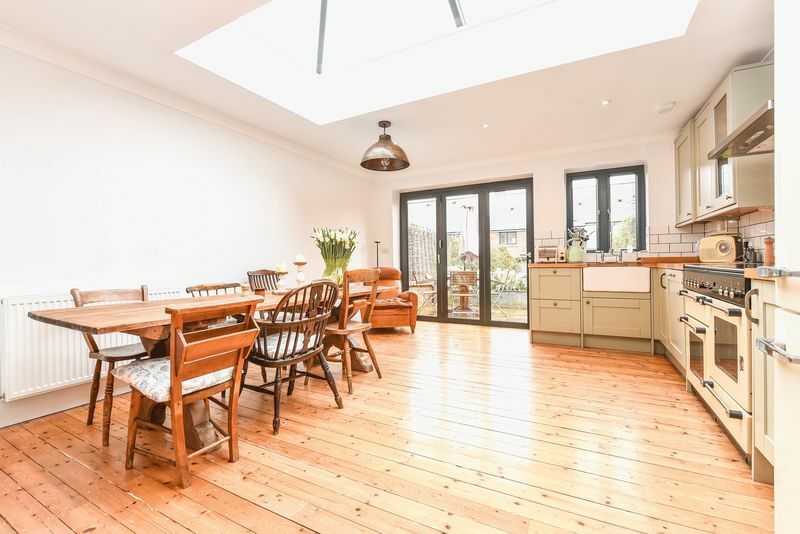 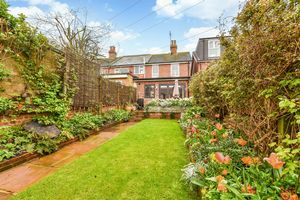 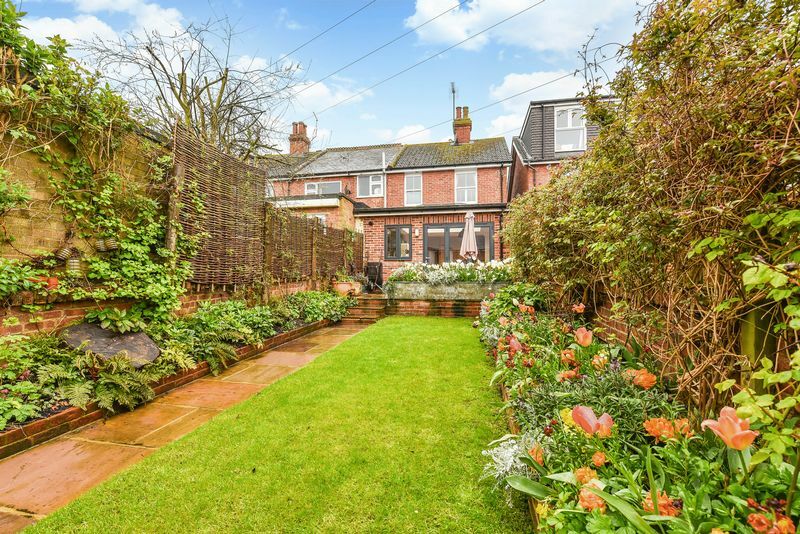 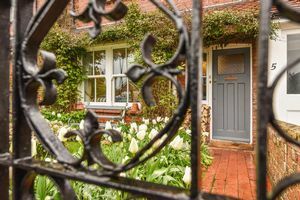 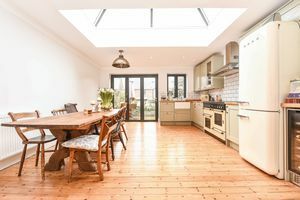 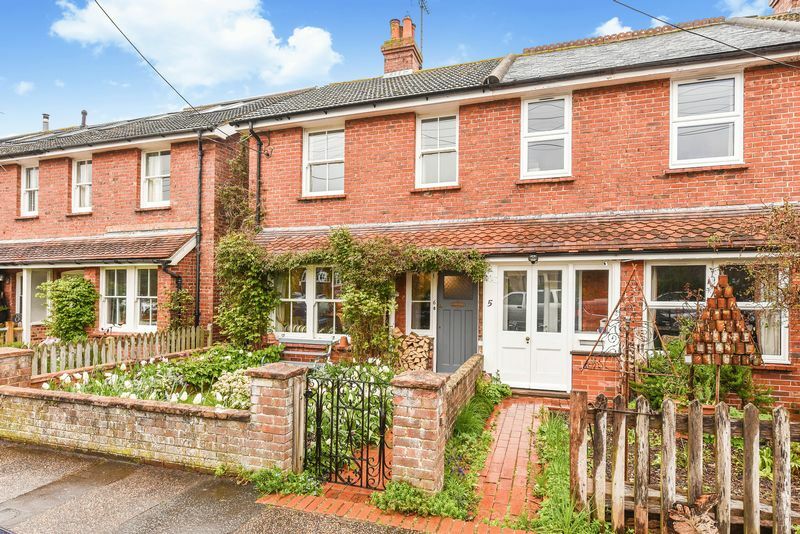 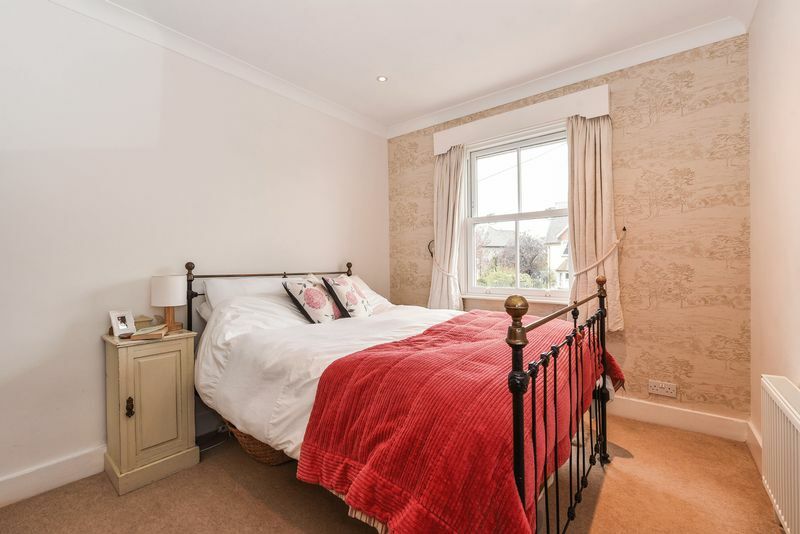 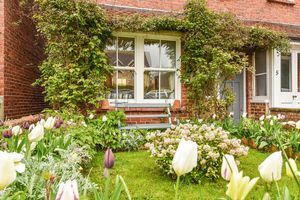 A wonderful period house which has been extensively modernised and extended to create a beautiful home. 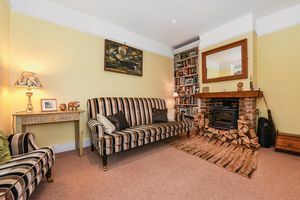 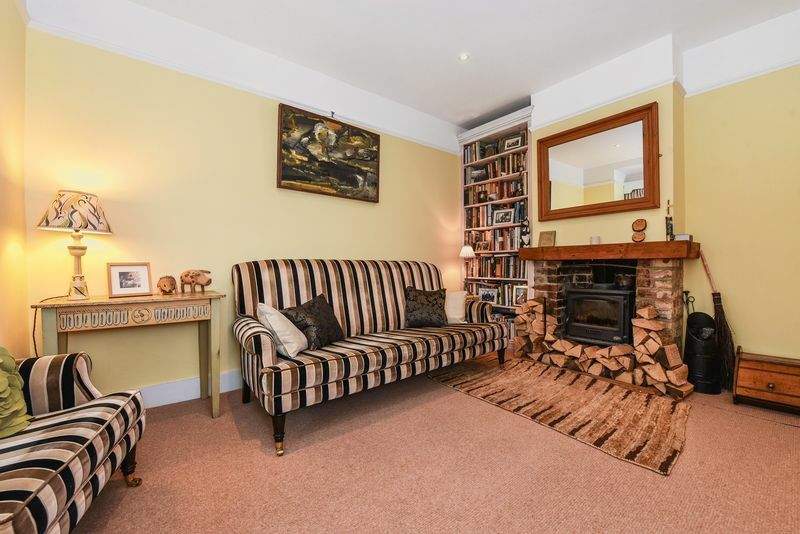 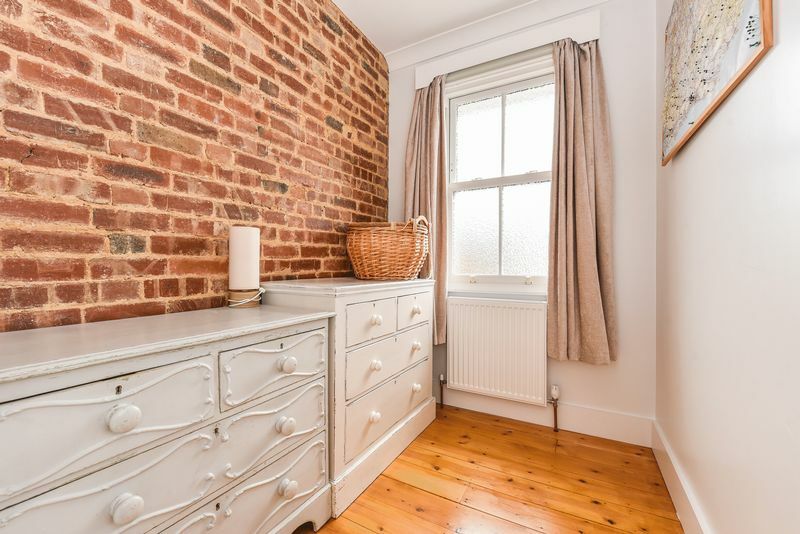 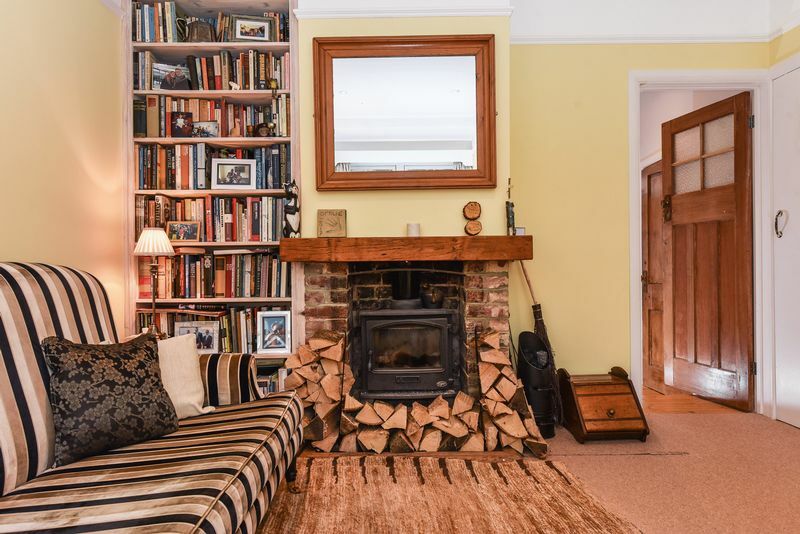 Accessed through the pretty front garden to a wooden door and into a cozy sitting room which has a Tiger solid fuel burner with oak mantle and adjacent fitted shelving. 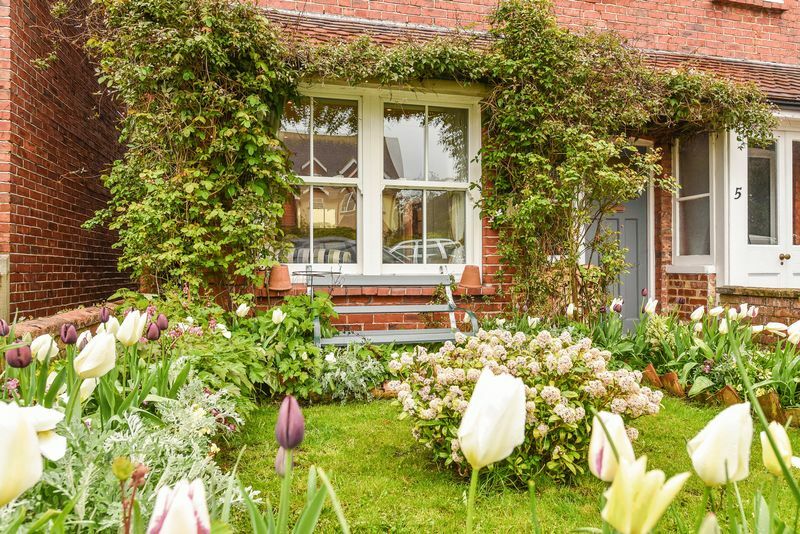 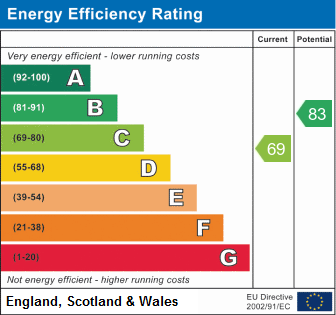 There are double glazed UpVC sash windows. 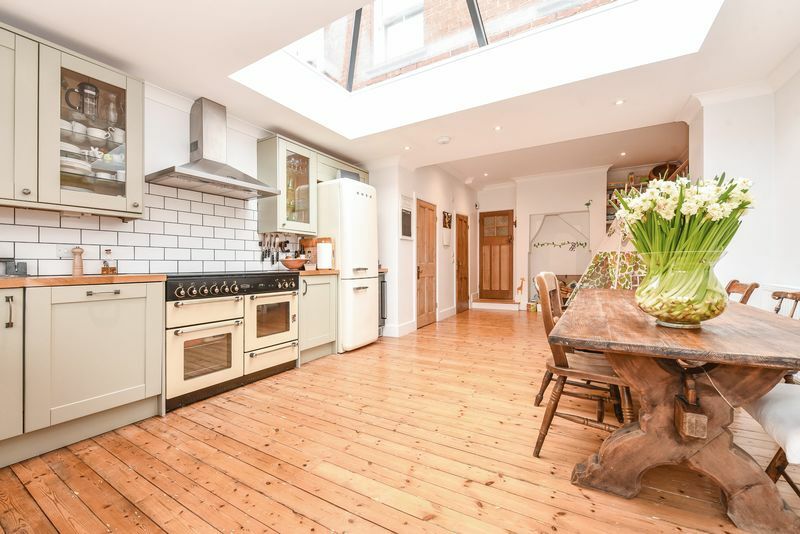 A door leads to the fantastic new kitchen/diner. 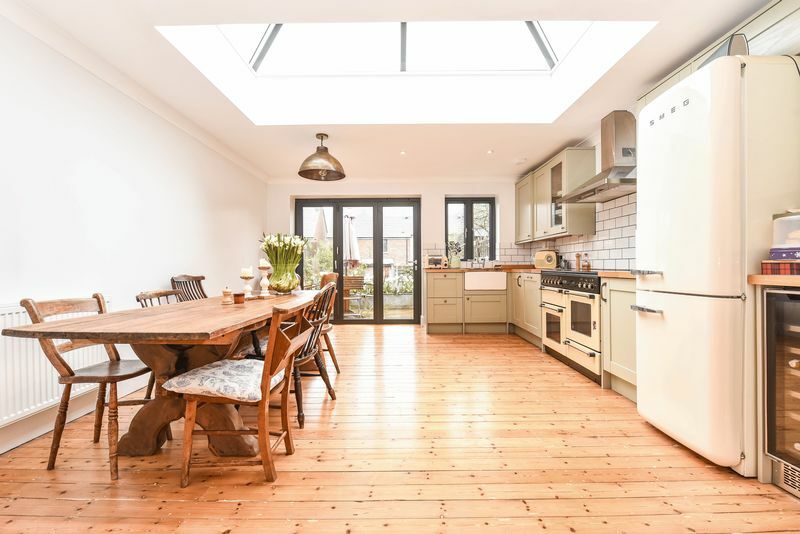 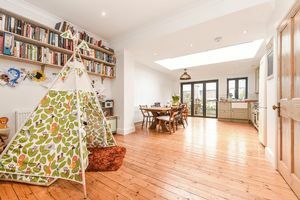 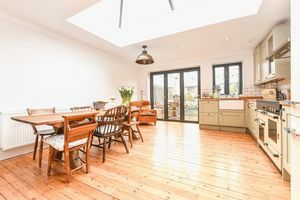 Constructed in 2017 with a large roof light and bi-fold doors to the garden. 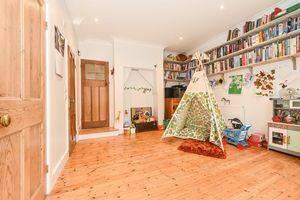 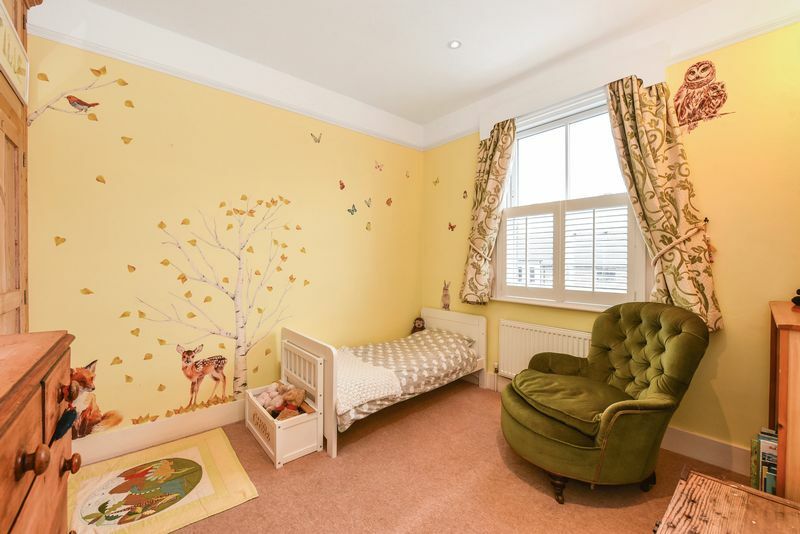 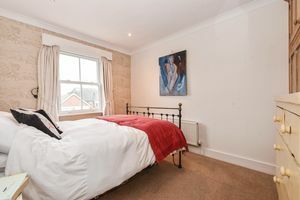 This fabulous room is spacious with plenty of room for a table, sofa, play area etc. The kitchen is from Howdens with Tewksbury units in sage green with beech block worktops and a butler sink with Rangemaster five ring gas oven with extractor above, integrated dishwasher and wine fridge. 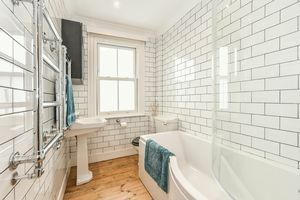 An adjacent larder has plumbing for a washing machine. 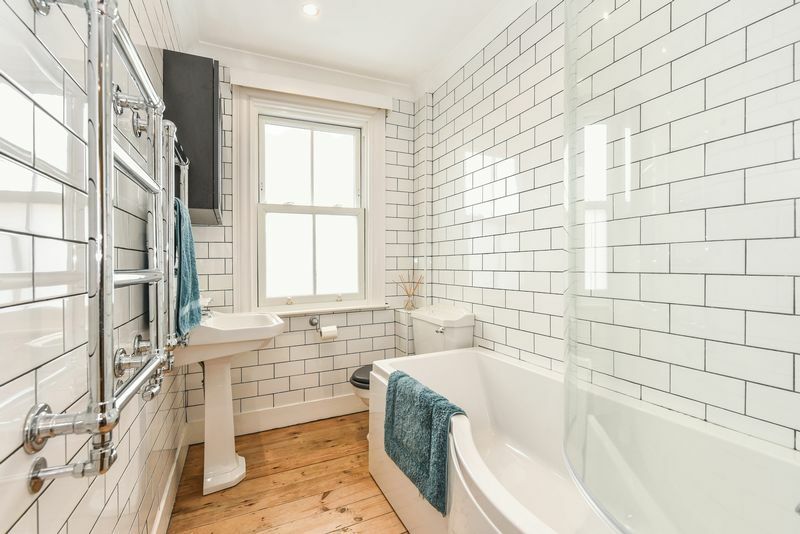 They have also made room for a useful downstairs W.C. Upstairs has been reconfigured with a new bathroom added in 2017 with new Victorian style white suite and tiling. 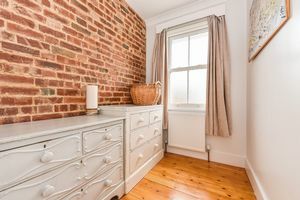 There are two double bedrooms and a single with exposed brick wall. 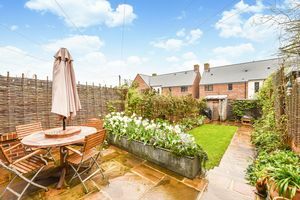 Outside is a pretty split level garden with sandstone paving and path, lawn with raised beds and two sheds. 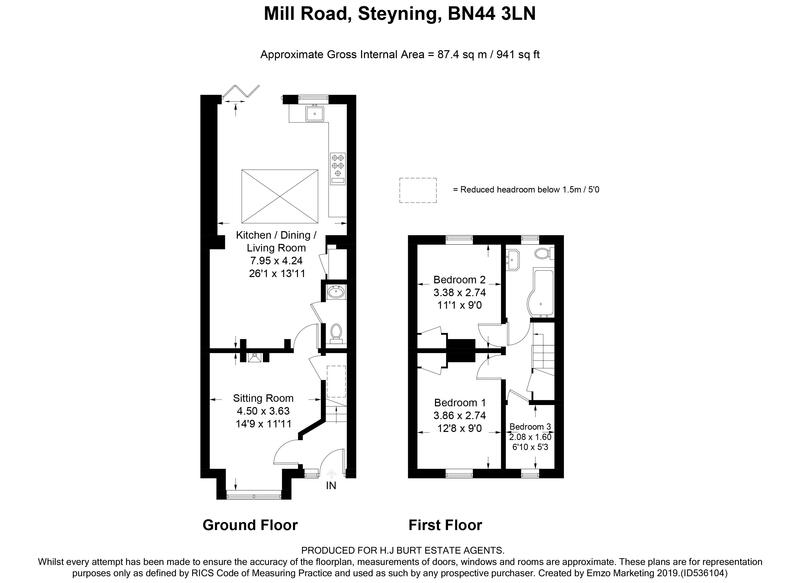 There is access to the rear via a twitten for bikes etc. 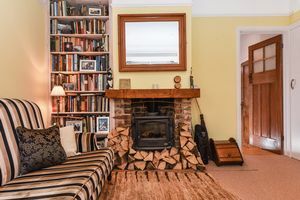 The house has updated electrics and boiler and has been decorated throughout with new floor coverings in 2017.